You Always Have Someone to Ski With at the Waterville Valley Program. 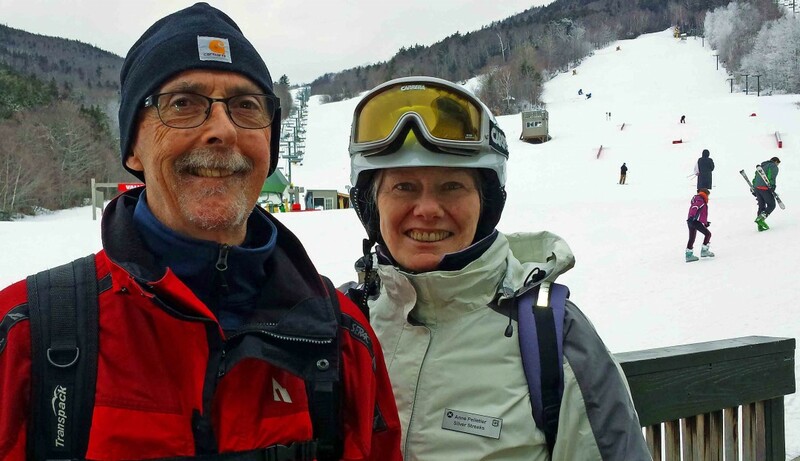 “I’m so excited, I just turned 65,” says Anne Pelletier, booster for the Silver Streaks, a program for the 50-plus set at Waterville Valley, N.H.
Silver Streakers Mike and Anne Pelletier totally enjoy the benefits of the Waterville Valley program. 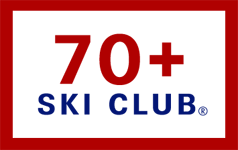 Nearly 30 years old, it was one of the first senior ski programs in the country to cater those 50 and over, a demographic astutely valued by Waterville’s founder ex-Olympian Tom Corcoran. Pelletier, a lively woman in fire-red ski pants and state-of-the-art heated jacket, has reason to be happy. 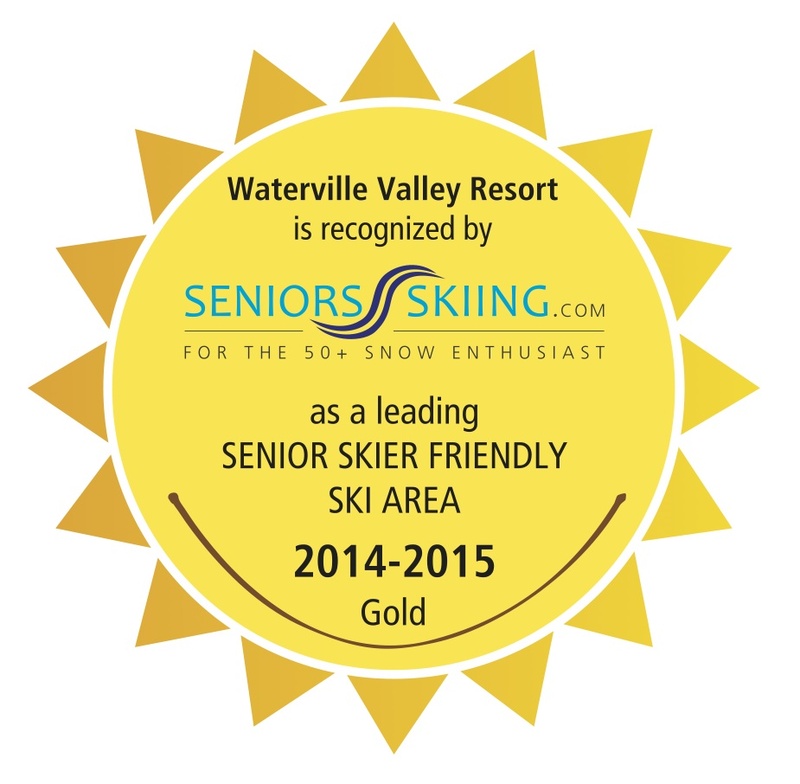 At age 65, the Waterville season pass benefits kick in: $379 for non-holiday midweek skiing. For much longer, though, she has been with the Silver Streaks. Reserved area in Parking Lot # 1 (one 90-year-old joined for that reason alone). Complimentary coffee and pastries in the Base Lodge from 8:30-10 a.m. in special meeting area. 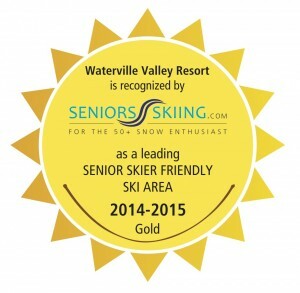 Complimentary Snowsports clinics for seniors only. Après-ski party every Wednesday at rotating venues. Banquets and other special events throughout the season. Reduced price NASTAR every Wednesday. Nordic program every Wednesday for two hours of Nordic skiing with professional guides, followed by lunch at the Nordic Center. The program runs Monday-Thursday, non-holiday, early December to mid-March. Also every Monday night the Coyote Grill at the White Mountain Athletic Center offers a $12 dinner; après-ski two times a month. (unfortunately $5 martini night was retired for reasons easy to imagine). Other events: a Memorial ski run from the top in single file to remember those who have died in the past year. The Pelletiers like the friendships, but they have an ulterior motive. Says Anne, a platinum (top) NASTAR racer, “We have a need for speed.” Husband Michael, 72, is a top-ranked marathon runner in New England. Silver Streakers Randy and Reggie Breeckner moved full time to Waterville 15 years ago from their home in the Litchfield Hills in northwestern Connecticut where they raised seven children. 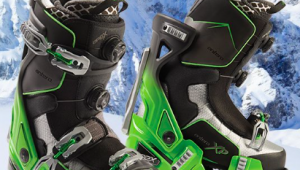 “You develop strategies not to get hurt,” adds Randy, a six-decades-long New England skier. Those include not skiing when it’s icy, foggy, or on busy weekends. “We know only one person in the group who snowboards,” he says. Albert and Kristina Ruehli from southern New Hampshire are also on board. Albert learned to ski at age six in his native Switzerland. “I went to a meeting and one of members said, ‘You’re too young to join,’ so of course I joined immediately,” says Kristina, 71. Julius Feinleib from Thornton, N.H, has grandchildren ages seven and nine who now whiz by him on the trail. His reasons for joining are simple. “Just being with people I recognize.” He also likes the cup of coffee and doughnuts. For more on Silver Streaks, click here. Tasmin, I hope you’ll consider reaching out to the Copper Mountain Over the Hill Gang, as well. The OHG was founded in the 1976/77 season with organized skiing starting shortly thereafter. The program has continued ever since, with organized skiing on Saturday/Sunday and Tuesday/Wednesday through the season, including additional specialized teaching clinics on an array of skiing topics like stance and balance, bumps, powder, and more.